The Vegetarian Health Institute - Lesson 9: The truth about Vitamin B-12. Lesson 9: The truth about Vitamin B-12. Your browser does not support the audio element. Please download the audio from the link below instead. Do fermented soy products, amesake rice, or umeboshi prunes provide significant B12? What about the soil on unwashed veggies? Many foods reported as 'good B-12 sources' are tested with methods that measure B-12 analogues (which can cause B12 deficiency because they block the action of active B-12). Those methods give no accurate measure of the true B-12 content, nor whether the foods are dangerous from their analogue content. Stop being misled. Get definitive answers in this lesson. Excellent source of information. I really appreciate Dr Klaper and the Veg staff's expertise on B-12. It has been clarified for me. I learn a lot from the Q and A and the interview. Thanks so much. The information in the audio lesson is very helpful, informative and revealing. I am not sure if I heard any discussion on the different forms of B-12, i.e., methylcobalamin vs. cyanocobalamin, and whether one is absorbed better than the other. My initial impression is that it does not really make a difference as long as you take the right amount into your body. Hi Scott - the form of B12 definitely makes a difference! Natural B12 is methylcobalamin. Synthetic B12 is cyanocobalamin. The synthetic does not occur in nature. Our body must convert the cyano- into methyl-cobalamin, resulting in cyanide byproducts. Hi Scott - thank you for your feedback on statins & nerve damage. You'd need to ask a medical doctor as to the side effects of each drug, whether it affects B12 levels. It's best to see a qualified wholistic clinician and get blood tests to track down exactly what is missing. Hi Susan - I'm not a clinician but it sounds to me as though you're doing the right thing - seeking help that does not include drugs. Drugs don't build new tissue, or in your case, new metabolic pathways. Supplements reportedly can help, such as methyl folate. As usual another informative interview with Dr Klaper. Thank you. Excellent interview! I learned a lot. Just a fun fact about Trevor saying shampoo manufacturers formerly recommending washing hair twice. There was a reason. In the 1950s, many kids I knew only took a bath once a week and washed their hair once a month. The double washing was to remove so much oil from hair and scalp. In our family, we kids bathed daily and double-washed our hair weekly. Hi Gwendolyn - the only way to know whether your intake is sufficient for your unique biochemistry is through blood tests. The most reliable test for B12 status is the hypersegmentation index. They put blood samples under the microscope and count the number of hypersegmented nuclei. The more hypersegmented nuclei, the greater your B12 deficiency. Also ask for urinary MMA and homocysteine levels, in addition to the standard serum B12 test. This will give you a clear picture. In their book, "Becoming Raw," Davis & Melina recommend 10 micrograms (mcg) of B12 a day. But in an expert interview, I heard Brenda Davis say that only 0.5 to 1% of B12 is absorbed. She said we should take 1,000 mcg a day! In this interview Dr. Michael Klaper reports that 1,000 mcg once or twice a month should be plenty. 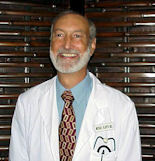 It is interesting to hear what Dr. Klaper has to say about B12. I have the homozygous MTHFR mutation/variant at C677T, which means that I have to take folate and B12 in a methylated form daily. I understand there is a very large percentage of the population that is affected by this mutation (at either C677T or C1298T) to some extent. Those who have this must always supplement daily for life. Thank you so much. I learned a lot from this. Dr. Klaper was great to listen, the quality was great. Hope to learn so much more. I'm only 8 months into my new lifestyle and there is so much to learn. Thanks again. Thanks for this informative piece of news about B12. Now I know what's going on with my body and what is to be done to deal with my B12 deficiencies. I'm a vegetarian for 10 years and in 2014 I realized that something is going wrong with me -- I got through all the symtoms described, including early and late -- and the cause appeared to be an extremely low B12. Thanks Trevor, great interview, Michael is fantastic and presents in such a user friendly way. Much appreciated. Great source of information on the subject! I've learned I've been over doing it and advising my clients incorrectly! I'm going to lower my intake of this molecule. One question:is the the strain of yeast in nutritional yeast ok for people with gout? In other words, is it uric acid producing? Hi Magda - the yeast in nutritional yeast is no longer alive when you buy it. So even if it were uric-acid producing, it no longer is when you buy it. This is not to be confused with brewer's yeast which IS alive, otherwise it wouldn't do what it is supposed to do. Can you still get B12 from cows if they no longer eat grass, but grain? Seems like supplementation is the key here. Love like Dr. Klaper. He is a wonderful resource. Hi Erica - a grain-based diet creates intestinal imbalance in the cows, causing them to get E. coli infections. I'm not aware of whether or not that inhibits the bacteria that produces B12. However, I do know that cows that don't eat grass won't provide vitamin K2, because the K1 that cows convert into K2 comes specifically from grass. Wife and I have been vegan since 2000. Took 9 years without supplements to show up B12 deficiency. Found some brands of B12 supplements completely ineffective. Deficiency showed up even with large overdosing of these supplements. An excellent interview! I enjoyed Dr. Klaper and found his advice down to earth and easily understood. Thank you. About the cows and other animals getting Vitamin B12 from the grass, etc. that they eat: they'll only have B12 if there is cobalt in the soil which is then taken up into the grass and thereafter into their flesh. Excellent quality audio. Great, credible information. Loved it. If you're taking enough B12, can you still become anemic due to other deficiencies? Hi Fran - the term "anemic" is used for many things, such as "Iron deficiency anemia" "Aplastic anemia" and "Sickle cell anemia." Anemia means "a condition marked by a deficiency of red blood cells or of hemoglobin in the blood, resulting in pallor and weariness." So yes, it can happen from other deficiencies besides B12. I don't often listen to videos, but was quite impressed by the whole of your talk and reasoning. I live in the United Kingdom and remember the early vegans in 1950. Many were deficient in B12 within a few years because they did not supplement. Dr. Klaper is always great and informative. Great call! Nice and clear, great questions and answers. Excellent lesson/interview -- good info. Review Comment: Feel free to critique the advice, the quality of the audio, or anything else! To keep improving our content, we will re-do any Q&A calls that don't get excellent reviews. © Copyright The Vegetarian Health Institute © All Rights Reserved.